We can be near a lama, learn from the lama, hang out with the lama and even ‘serve’ the lama, but without focus and devotion our mind and practice will not improve. It might even degenerate where we have wrong views always and the wrong views take over. Devotion is important as it generates merit to overcome our negative habituations and thinking. Always meditate and focus on the lama’s good qualities daily and keep the neurosis in check by not entertaining it. Remember and share all the kindnesses the lama has given to you and let others know. When you share and remember, it keeps our mind in a mode of appreciation. If we want, we can even have negative views of Lord Buddha Himself due to our lack of contemplations. So it’s not the lama, but our mind. I was 18 years old when this was taken back in 1983 in Los Angeles, California. 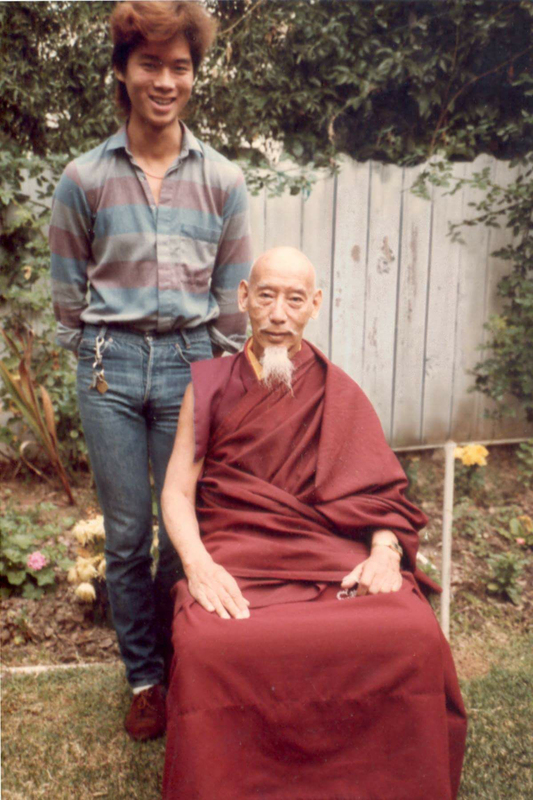 Here I am in this photo with my most precious root guru, His Holiness Kyabje Zong Rinpoche. He has profoundly changed my life for the better forever. Not a day goes by I don’t think about him, love him, miss him and yearn for his presence and teachings. I meditate on him in my heart every single day. He was everything that a high Tibetan lama is said to be and more. From the moment I heard his name before meeting him from a friend who had met him already, faith instantly arose in me. Instantly faith arose in me. I did 100 prostrations to his picture everyday until I met him. I wanted to make a spiritual karmic connection with him so that when I met him, I can receive many teachings and that is why I made the prostrations. No other spiritual teacher although all of them were great has this sort of meteoric impact on me. It’s unexplainable. 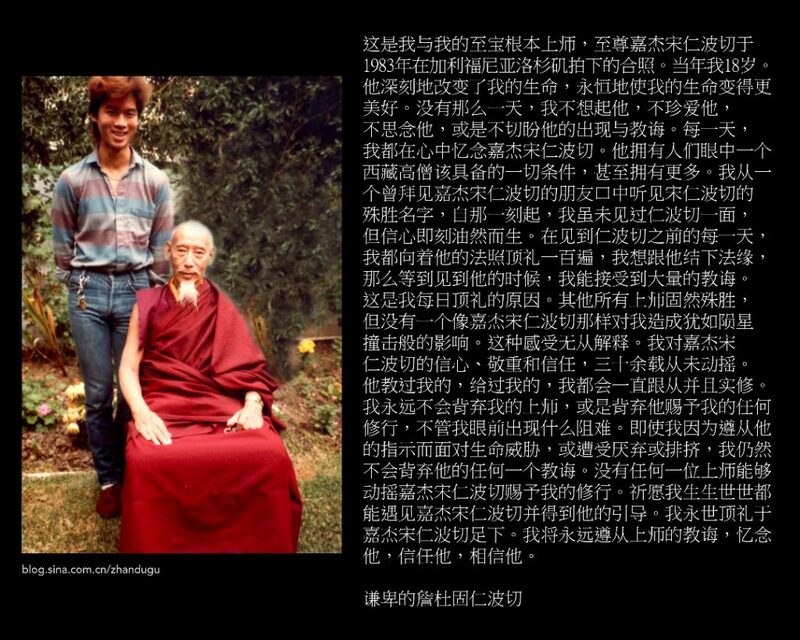 30 plus years down the line, my faith, respect and trust in Kyabje Zong Rinpoche is unshakable. I will always follow and practice what he has taught me and given me. I will never abandon my teacher or any practice he has given me no matter what obstacles come my way. No matter if my life is threatened, or I am disliked or segregated for following his instructions, I will never abandon any of his teachings. 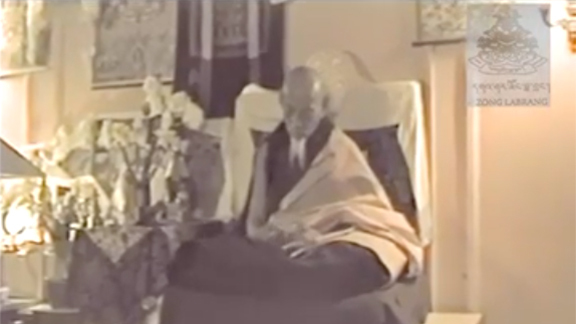 No other teacher will ever have me change my practice I have received from Kyabje Zong Rinpoche. May I meet Kyabje Zong Rinpoche in all my future lives too and come under his care. I forever bow to him and place the crown of my unworthy head to his feet. I will follow, meditate, trust and believe in my guru always. 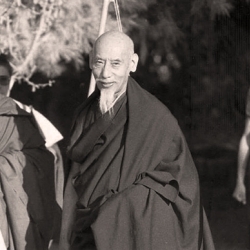 A master of sutra and tantra, His Holiness Kyabje Zong Rinpoche performed countless holy deeds and gave thousands of Dharma teachings during his lifetime, some of which were filmed for the benefit of sentient beings in the future. 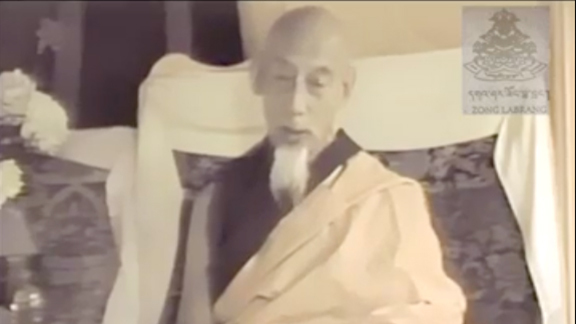 Thanks to those recordings, we are able to present you with some very precious footage of Kyabje Zong Rinpoche’s activities. 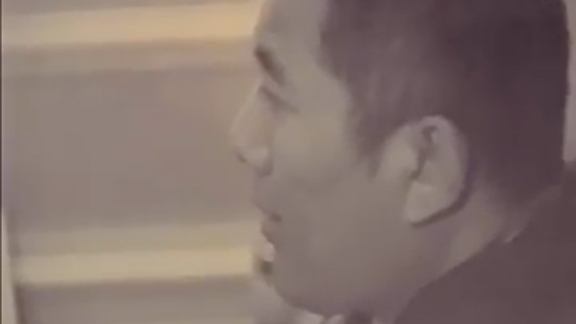 Be blessed as you listen to the holy voice of the Buddha that is Zong Rinpoche. Disclaimer: This footage is presented for strictly educational, non-commercial purposes only. No profit is being made from the display of the footage. 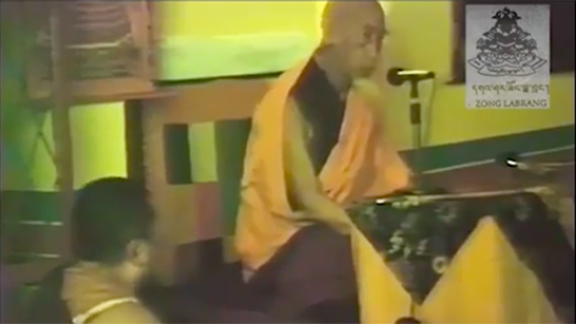 This video shows the integral role that His Holiness Kyabje Zong Rinpoche played in the funeral of his close student, Venerable Lama Yeshe. 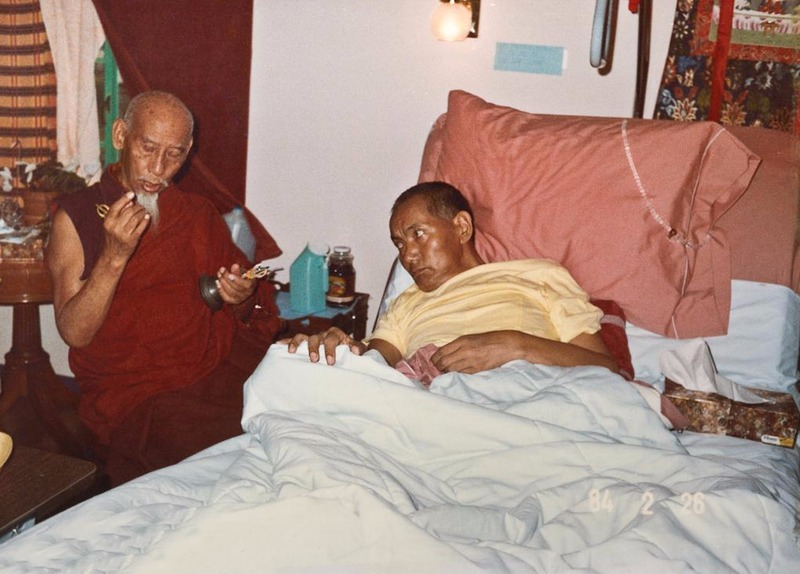 A highly accomplished tantric master and lifelong Dorje Shugden practitioner, Kyabje Zong Rinpoche led and advised Lama Yeshe’s students on the proper funerary and cremation rites befitting a practitioner of Lama Yeshe’s qualities and attainments. 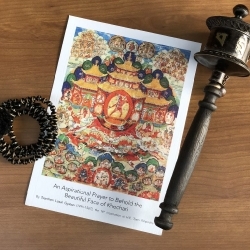 In this teaching translated by Venerable Geshe Namgyal Gangchen of Drepung Monastery, Kyabje Zong Rinpoche gives a teaching on the nature of cyclic existence, the first of the Four Noble Truths as taught by Buddha Shakyamuni, as well as the six realms of suffering. 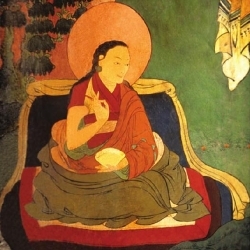 In this teaching translated by Venerable Geshe Namgyal Gangchen of Drepung Monastery, Kyabje Zong Rinpoche gives a clear explanation on the Three Principal Aspects of the Path: renunciation, bodhicitta and the right view of emptiness. 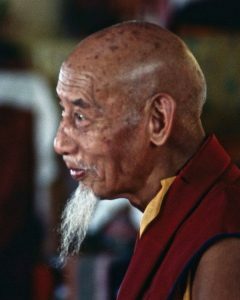 At the request of Venerable Geshe Tsultim Gyeltsen in 1983 at Thubten Dhargye Ling in Los Angeles, USA, Kyabje Zong Rinpoche recited and taught the Ensa Ear-Whispered Chod practice from memory. 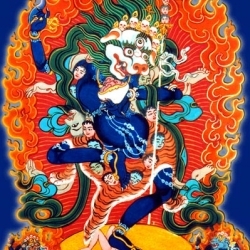 These melodies are chanted according to prayers known as: Cutting through Self-grasping; Dedicating the Illusory Body as Ganachakra; and the Ganachakra Offering according to Chod practice. 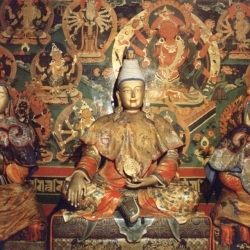 Zong Rinpoche chose to present the melodies of certain verses of these prayers and remarked that there may come a time when Chod melodies are taught according to this recording. In our spiritual path there is always a Guru to guide us and lead us to enlightenment. If there is no Guru then there is no Dharma. 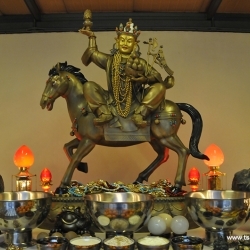 We have a chance to learn and practice Dharma is all because of our Guru Rinpoche’s compassion and kindness . 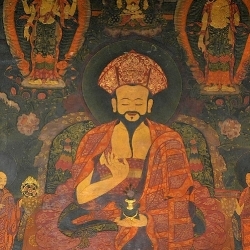 Rinpoche is very devoted to his root Guru, Kyabje Zong Rinpoche . Its very important to choose a Guru knowing the lineage of the Guru and so as Guru devotion. I am fortunate to have met Rinpoche through Kechara and I have still a lot more to learn and practice Dharma. Thank you Rinpoche for these profound teaching. The guru is the Buddha. Our guru is living proof of this. Always contemplate on the guru’s good qualities because this is a way to develop these qualities ourselves. Have full confidence towards our Guru for he will guide us along the path to enlightenment. The guru devotion is the root of all attainments. I was 18 years old when this was taken back in 1983 in Los Angeles, California. 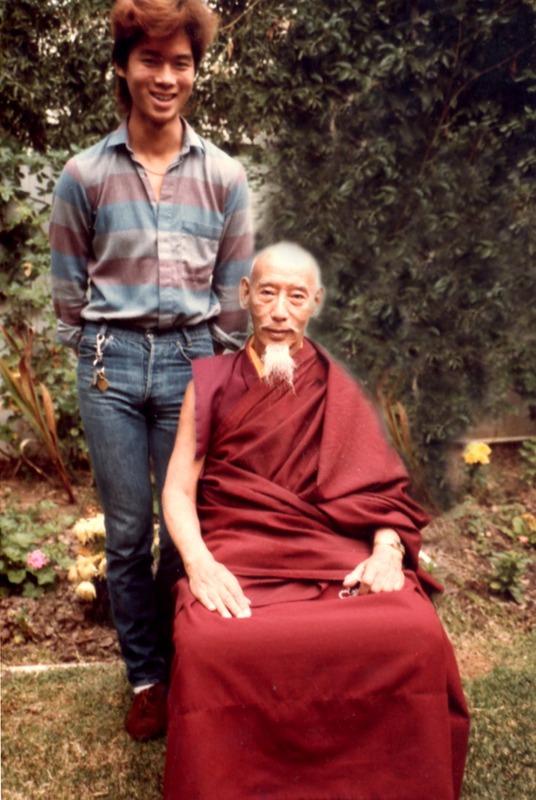 Here I am in this photo with my most precious root guru, His Holiness Kyabje Zong Rinpoche. He has profoundly changed my life for the better forever. Not a day goes by I don’t think about him, love him, miss him and yearn for his presence and teachings. I meditate on him in my heart every single day. He was everything that a high Tibetan lama is said to be and more. From the moment I heard his name before meeting him from a friend who had met him already, faith instantly arose in me. Instantly faith arose in me. I did 100 prostrations to his picture everyday until I met him. I wanted to make a spiritual karmic connection with him so that when I met him, I can receive many teachings and that is why I made the prostrations. No other spiritual teacher although all of them were great has this sort of meteoric impact on me. It’s unexplainable. 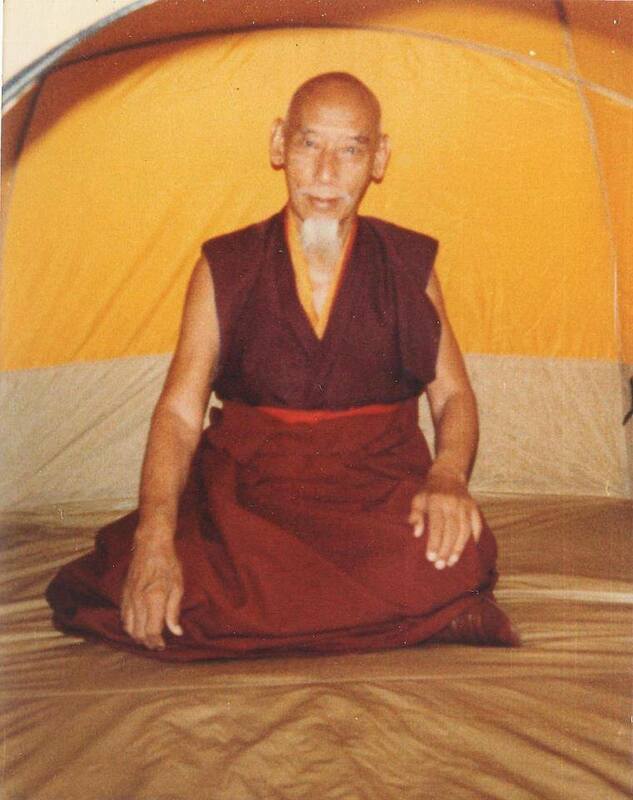 30 plus years down the line, my faith, respect and trust in Kyabje Zong Rinpoche is unshakable. I will always follow and practice what he has taught me and given me. I will never abandon my teacher or any practice he has given me no matter what obstacles come my way. No matter if my life is threatened, or I am disliked or segregated for following his instructions, I will never abandon any of his teachings. No other teacher will ever have me change my practice I have received from Kyabje Zong Rinpoche. May I meet Kyabje Zong Rinpoche in all my future lives too and come under his care. I forever bow to him and place the crown of my unworthy head to his feet. I will follow, meditate, trust and believe in my guru always. 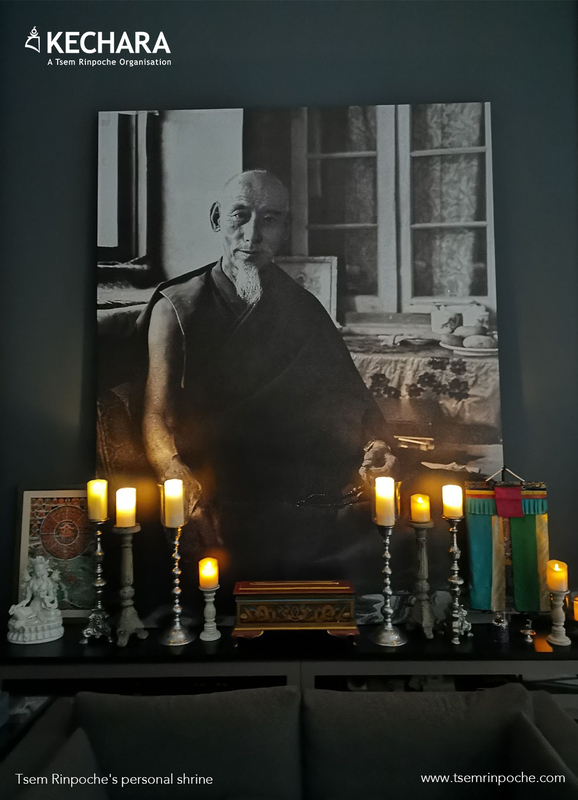 Someone came to my house and saw Lama Tsongkhapa statue and Rinpoche’s photo on the altar. I was advised not to believe and devote myself 100% to a Lama. He shared with me of how some of his friends are so into it and not their normal self. His sharing somehow made me think and rethink. I am glad and blessed that I did not sway by this remark made by that person at that time. I have come to realise that people who do not understand the importance of Guru devotion will have negative views on our actions despite how we explain. It is best to leave it and keep our full faith and trust in Guru. After reading about this post, first thing that strike my mind was “My ‘friends’ with good or bad intentions only have ignorance and more indulgences in samara to sway me to leading to more problems. My guru leads me to Nirvana, peace and light.”. 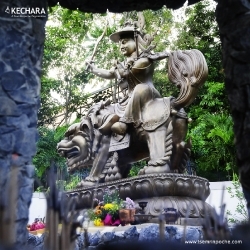 I must confess that I was once confused and felt lost after listening to all the negative comments from my friend, and developed wrong views about my Guru, about Kechara. I felt like I was standing in front of a cross road, deciding to go forward or to stop. Finally I decided to bring this up and discuss it with Pastor HanNee and my fellow Dharma classmates. Then my doubts slowly cleared as I started contemplating on things/activities going on in Kechara, vs the negative comments. I started to realize, everything Guru does, it is there for a reason. It’s only for a good cause to benefit us, to eventually bring us to enlightenment. Thus, we must put in our full faith and trust in him, as our Guru is a Living Buddha. Thank you Leng Miang. I am glad that your doubts and confusion have melted away after our blogpost discussion and your own further contemplation. No Guru , No Dharma. Guru is a saint person that convey Buddha’s teachings into easy way in order for us to learn and practice. Guru devotion is a vital element for practitioners in order to keep a clean Samaya with their own Guru. A clean Samaya will enable practitioners to receive and understand Dharma quickly. Rinpoche is very devoted to his root Guru, Kyabje Zong Rinpoche. This is a very good example to many Vajrayana Buddhism practitioners. Guru is the closest to us especially at this degenerated age and Guru is the one who can lead us to enlightenment. I always have the perception to choose friend but not Guru. 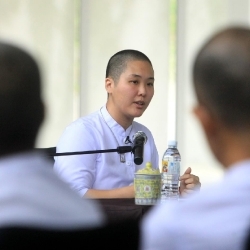 By the way, this article was discussed by Pastor Han Nee last week after Dharma class and it really caught my attention as she spent her times to tell us many stories. She emphasized, its very important to choose right Guru. Guru will be the one lead us to Enlightenment. In order to walk us through this path, we really need to have the devotion to our Guru. Think about his good qualities and practice on it. 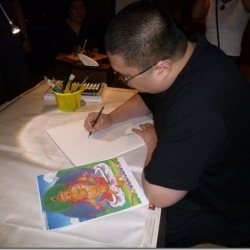 Thank you Rinpoche for sharing this article. Yes, Guru plays a very important role in our spiritual path. Guru is the one that connect us to the Buddha and Dharma. Guru is the one that protect us from our obstacle not only in our spiritual path, but in our daily life also. And, Guru is the one that guide us and lead us to enlightenment. One cannot practice Dharma without Guru. Thus, Guru devotion is very important. Without the Guru, there is no Dharma, without the Dharma, there is no Sangha and without the Sangha, there is no Buddha. No Guru, no Buddha, no Dharma and no Sangha. Everything that leads ignorant people like me hinges on the Guru. Devotion is important as it generates merit to overcome our negative habituations and thinking. Always meditate and focus on the lama’s good qualities daily and keep the neurosis in check by not entertaining it. In short, we must have our Guru 24/7. I will always keep you in my mind 24/7 as this is the ONLY WAY out of samsara. 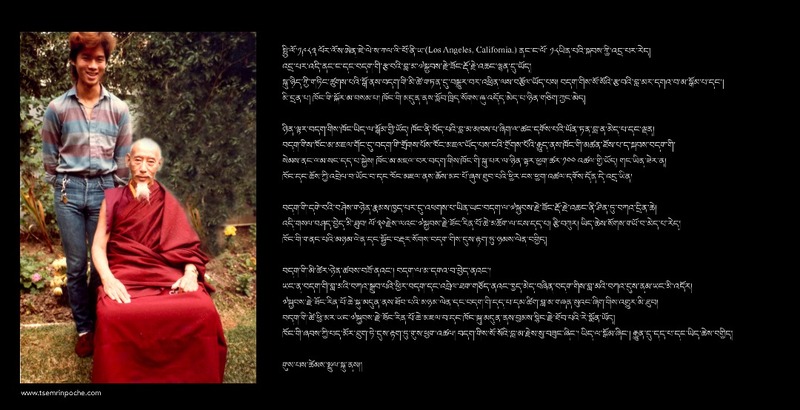 Thank you Rinpoche for sharing this article. Yes, we do have to choose our Guru always as Guru is the one who can lead us to enlightenment. We cannot just say we do not need a Guru and we can study the Dharma ourselves. When we have a Guru, the Guru will teaches and advices us what to do and what not to do. When we have a Guru, the Guru will also protect us from harm. That is why guru devotion is so important so that there will always be a Guru disciple bond. I thank my Guru so much that I was able to meet and learn the Dharma. It changes the way I see and think about things. In the process, I also learn to be more mindful about things although sometimes still make mistakes. As I review this most powerful post, there are two aspects I find important to highlight-why we should always choose our Guru and how we can keep our thoughts focussed on Guru Devotion. I will always choose my Guru over everyone else because he is the only one I can rely on to lead me unerringly to Peace and Enlightenment. The way to keep my thoughts focused on DEVOTION TO MY GURU. 1) Always view him as the living Buddha that he is. 2)Focus and meditate on his good qualities daily and keep my neurosis in check. 3)Remember and share all the kindnesses my Guru has given to me and let others know.This will keep my mind always in a mode of appreciation. 4)Always remember this: My guru leads me to Nirvana, peace and light, whereas my friends in samsara , with good or bad intentions, only have ignorance and more indulgences in samsara to sway me to, leading me to more problems. Thank you Rinpoche for this post that gives much room for reflection and meditation on the most important relationship of our lives. If it is not Guru’s compassion and kindness we would not have the chance to learn and practise dharma in Kechara. Guru is very important because he is a person who will guide and lead us to enlightenment. He choose to be with us so we can transform our mind. Hence we must always appreciate our Guru and change our mind to be better. 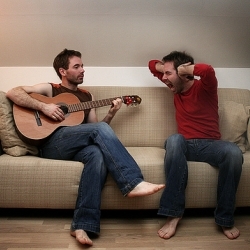 have to be careful to choose the right guru – there must be just as many bad/fake ones as good/genuine ones – BE CAREFUL! In any case, even with a bad/fake guru – you might just learn something – who knows? 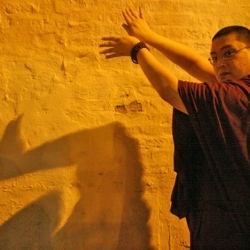 There is no doubt that Rinpoche is right in saying it is not the lama, but our mind. How is it not the lama? If it is the lama, then EVERYONE who comes in contact with the lama will never improve because there’s nothing from/about the lama that will nurture improvement in the people he interacts with. BUT if other people around the lama are improving but we ourselves are not, then it is not the lama. It means the responsibility for our lack of improvement lies with us. It doesn’t make us bad; it just means we haven’t been doing what we need to do, in order to gain the greatest benefit from our time with our teachers. 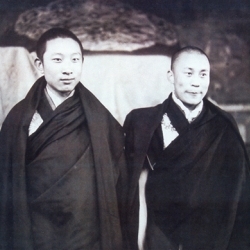 As Rinpoche says, Rinpoche’s guru devotion in Zong Rinpoche has been a source of strength for the last 30 years and if we emulate Rinpoche’s example, we will experience the same benefits. I was thinking about this the other day because something happened that disturbed me. The more I thought about it, the more my mind spiralled. The only time I wasn’t disturbed by the incident was when I was busy working, and my mind was occupied with thinking about something else. That’s when I realised, things hurt less when we think of ourselves less. When we let go of ‘me’, and we stop thinking of everything in relations to ourselves, the pain immediately lessens because there’s no sense of you to be hurt. I guess that’s why meditating on emptiness is so important; if there is no inherent you, then there’s no inherent you to hurt and to be disturbed. All of us will have our ups and downs, or our good and bad days but if we focus out and use our teachers as a focal point, it makes it much easier to weather the storms. We spend less time consumed by our negative thoughts, which allows us to expend energy and focus towards other things, for example completing our assignments well and on time. Having a guru as a focal point trains us to think out and about someone else always, and the more we focus out, the more result-oriented we become and logically, the more results we have. Thank you Rinpoche for sharing this teaching. 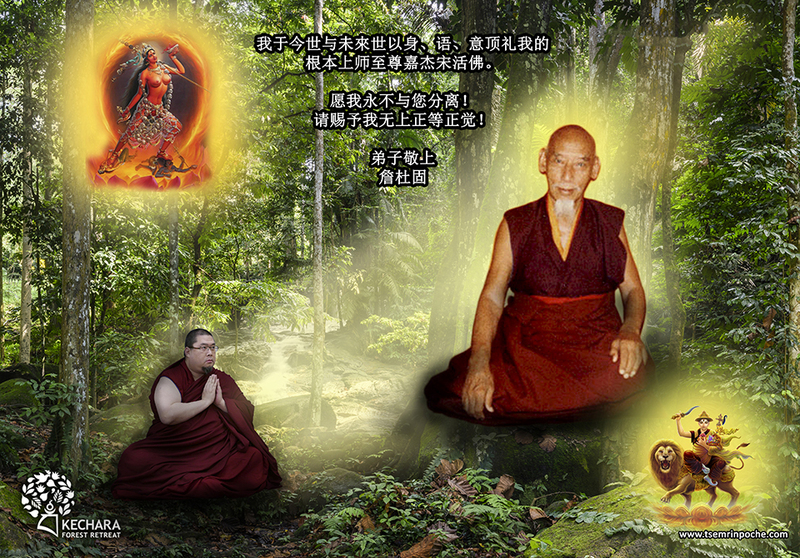 People always think only in Tibetan Buddhism’s students crazily follow their guru’s instructions, which is not true. A guru is someone we invoked or chose to follow His path and teachings so that we can achieve what the he has achieved. We need to trust our guru in order to learn and practice what he taught us. If we easily doubt our guru, even though we are near our guru and have been following his teachings for the longest time we will not gain any improvement, need not talk about attainment because we never listen to his instructions (instructions = teachings) nor carrying it out due to the broken relationship and blessings from our guru. Just like someone gave you a rough diamond, if you do not cut and polish it by following the way that has taught by an experienced diamond cutter, the diamond will remain as a rock. This is how i understand. Thank you Rinpoche for the above very useful teachings that given to us on how to keep ourselves in the right track. Thank you Rinpoche for reminding us to transform our minds and to practice Guru devotion. Thank you Rinpoche. It is a great reminder la. Only the Guru can lead us to Nirvana,peace and light.When we have realization of Guru Devotion,nothing will disturb us,no matter what appears to us,it won’t effect our mind;it won’t effect our devotion. Our mind transform into the devotion that sees the Guru as a Buddha. Seeing the Guru as Buddha stops wrong views and mistakes in our practice.Without Guru Devotion ,the thoughts of faults arises and blocks the development of the mind.Guru Devotion is the root of the path to Enlightenment and through this devotion,may we receive Guru’s blessings in our hearts. May I never be separated from my Guru in this lifetime and future lifetimes. Thank you Rinpoche for this beautiful teaching. 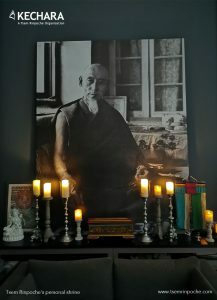 Thank you Rinpoche for sharing with us on the beauty of being connected to Guru. Thank you Rinpoche. This is such a profound teaching. I will always keep this close to my heart. l totally agreed with you that we must choose our guru, but guru also choose us. l just keep the flow and practice kindness and talk less. Continue, reading Liberation in the Palm of your hand. Keep my mind clam, positive thinking. This article is a well written article about choosing your guru properly. It explains quite a lot and gives good information. Why? Because, it tells you what you have to do to stay connected to your guru (Guru devotion). It is basically telling you what you should do and the ways you can get to Nirvana by the path of your guru. In the blogchat today, this topic was chosen for discussion. Long before that, I was contemplating on this matter as well. In Buddhism, or may I say in Tibetan Buddhism, Guru Devotion is the most important aspect alongside with pure motivation. Just now, a regular attendee in the blogchat by the name of M*** raised up a question that I must admit, a little hard for me (but I really did have this question for myself too for quite sometime);Will I be willing to give up my children for a monastic life if being asked by my Guru? From my point of view, how can I say I have Guru Devotion when I need some ‘time’ to think about this or even to have the slightest doubt about it? I do have the intention, to say the least, but alongside with that, I also need to check my motivation behind it. 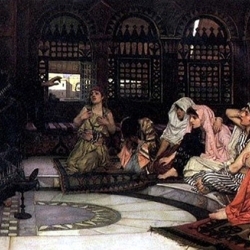 If (from my opinion) we did the meditation on Death, we shouldn’t have problem at all. The preciousness of life doesn’t come from mouth, but by action. If anyone out there do have firm answer for this, I am more than happy to hear that. But right now for me, I do need a lot of improvement on this. For this week blog retreat, this article was chosen for discussion. All the members of the group unanimously agreed that we should follow our Guru ( advices, teachings, instructions or etc) at all cost. Our Guru is the only person that can guide us on the path to Enlightenment. Others (with the exception of virtuous friends such as Pastors ) will leads us to more wordly indulgences. 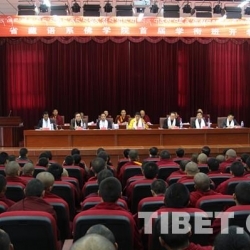 With this opportunity, we also shared about the proper Guru Devotion such as practising Guru Devotion with the Nine Attitudes, abandonment of ten non virtues and maintaining the Samaya such as keeping promises. Some of the members also shared the kindnesses of Rinpoche that they remembered. Through this sharing, may all of our members will always remember the kindnesses of Rinpoche, be diligent in our practices and will choose our Guru always no matter how many hardships we have to endure. Thank you Rinpoche for this sincere sharing. Attendees: Siaw Ching, Swee Ching, Kai Lynn, Soon Huat, Linny, Chin Seong, Natsumi and Jacinta. 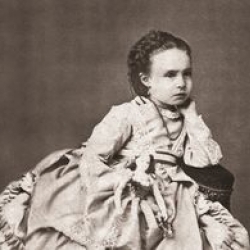 My mind has been through so much conditioning over the years and different lifetimes. There is so much to unlearn and relearn.It is a tough journey to get rid of all the negative habituations, especially the super dominant character “I”. I am indeed very fortunate to have met a Guru, so wise and kind who tirelessly teach to help me move on my path. I will take this advise, to always focus on the good qualities of my Guru and keep my neurosis in check. That is the very least I can do to return the kindness of my Guru. Thank you dear Rinpoche. Thank you Rinpoche for sharing all the valuable teachings and experiences. I am fortunate in Malaysia to have received all teachings and advice about Guru Devotion. We should not have a single doubt about our Guru as He will only benefit us and bring us out of samsara. 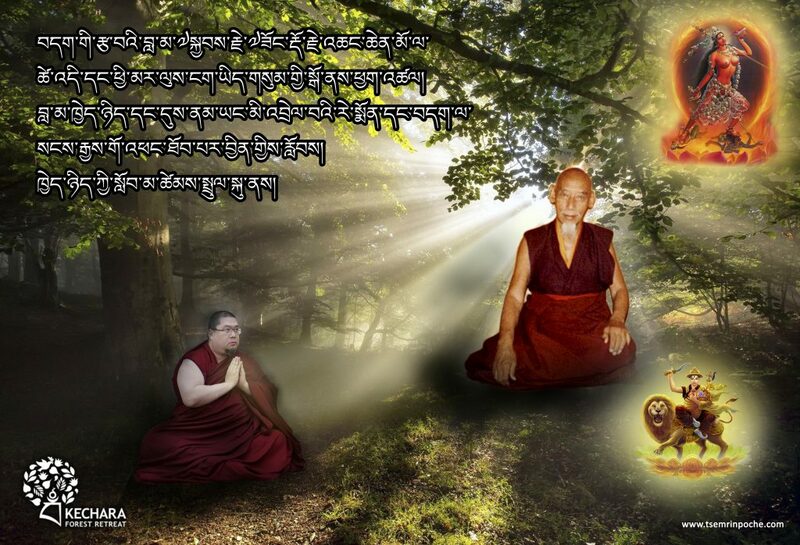 May all sentient beings can stay near to their Gurus and serve their Gurus in many future lifetimes. Devoting to a guru is a way to liberate one self from all suffering & to reach the goal of ultimate happiness. It is about following the guru’s instruction sincerely, applying the dharma & modifying our behavior to be less self concerned but more for others. Nothing pleases the guru more than a student who has transformed their mind. After all the “job scope” of a real guru is to free us from all suffering. Thank you Rinpoche for your kindness & care. I wish you good health & long life. 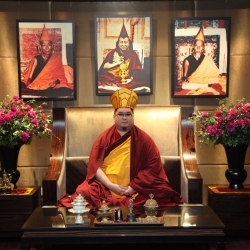 Dear Rinpoche thank you for reminding us again about the important of guru devotion. I remember when I first join Kechara I do not even know what is so significant about Rinpoche but when I first time see Rinpoche after listen to his teaching I feel this person is full of wisdom and wherever thing he said us make sense I know I have find a right person to take refuge. I have to said something if we give up our guru means we give up our happiness and we give up the holy Dharma. It has been said that if we students do not have the correct wisdom, we will always see the good qualities of our Guru as faults! Students must always have a deep sense of respect and devotion towards their Guru, as a source of teachings and guidance towards our quest to overcome delusions, negative karma and their ensuing suffering. The guru’s expert advice helps us to avoid the pitfalls of wrong practice, and He is the bridge between the traditional teachings of Lord Buddha Shakyamuni and their practical application in our daily lives. Our guru is the Buddha’s manifestation in our lives, showing us the Dharma and we should train our mind to relate to him with deepest respect and devotion we would have for Buddha Shakyamuni himself! Like what Rinpoche has said,”Devotion is important as it generates merit to overcome our negative habituations and thinking”. 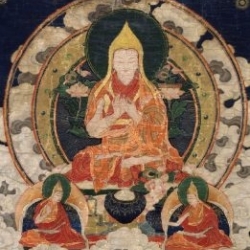 As also mentioned, “we must always focus on the Lama’s good qualities daily, and keep the neurosis of our mind in check by not entertaining it!” The purpose of contemplating these examples is to train our mind so as to be able to gain the maximun benefit and blessing for a good establishment of close relationship with our guru to serve the benefits of all living beings! 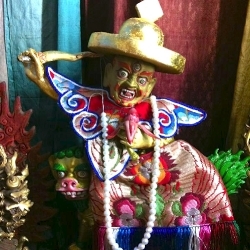 OM MANI PADME HUNG! Thank you for the wonderful teaching. I will definitely always think and remember of the kindness and compassion Rinpoche shown to me. You always keep me in your thoughts, even though I am always stuck in my samsaric ways and attachments; protect me from harm through subtle methods, and constantly “force” me to improve. I sincerely apologise for all the times my mind swayed when I doubted Rinpoche’s methods of training and taming my mind. 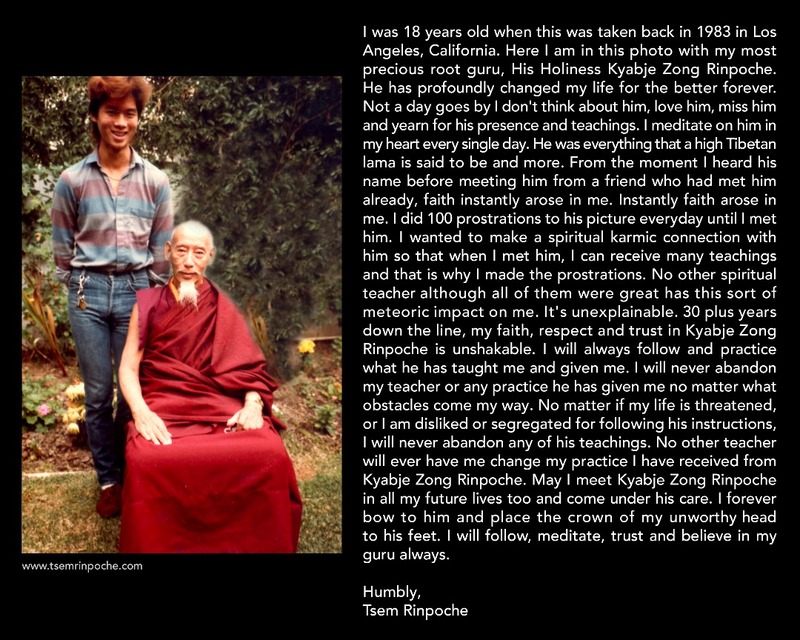 Rinpoche never gave up on me. Thank you for all the wonderful lessons to improve myself. Edwin, you took the words out of my mouth. I share the same feelings. Thanks for Rinpoche’s sharing.Guru is our guideline, however how much we appreciate our Guru’s effort and follow our Guru’s instructions ? We need to tame our mind, as per Rinpoche mention in the blog, be focus and devotion, daily contemplate our Guru’s kindness and keep clean Guru same ya. Thank you Rinpoche, for this profound post, which should be reflected on deeply. If I want peace and Enlightenment, I should choose my Guru always. I should not be distracted, even for a moment,by friends, who will lead me deeper and deeper into Samsara. No matter what my friends say , they are governed by ignorance, delusions and by their karma. It is only my Guru, with his sincerity, pure view and compassion, on whom I can rely. Thank you Rinpoche for the sharing.Due to our ignorance, to maintain a good relationship with our guru it is not an easy task, but if we have the right motivation definitely we can have a clean samaya with our guru. All our dharma practice, knowledge are from our guru. Without the guru, we will far away from enlightenment. Thus, it is important for us to maintain a clean samaya with our guru. Thank You Rinpoche for sharing your teaching of Guru Devotion to us. You always lead us by example or walk the talk. Student needs to follow the root Guru fully without even single doubt as Guru can see the full range of existence but student can not. That is why Guru Devotion is super important in Gelug lineage. 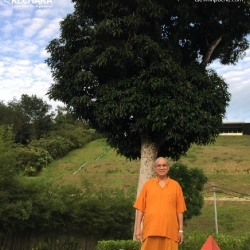 From now onward, I will follow your teaching without even a single doubt and share your teaching with as many people as possible in Penang or Malaysia. I am glad I am in Kechara, a big Dharma family. All the Dharma seniors, sisters and brothers always give me the encouragement and guidance in the Dharma path so that I will not be able to lost in this samsara. I know I still have imperfection. Please give me sometimes to correct it with your teaching. Hope one day, I will be able to meet you, my root Guru. Thanks Rinpoche for sharing about your Guru. I am so fortunate to be able to learn Dharma from Rinpoche in this life. I wish that Rinpoche will be meeting with Zong Rinpoche for the every future life time, and turn the Dharma Wheel together. There is nothing more precious that meeting with our Root Guru in every life time. The Guru always has your best interest at heart and points the way. Thank you Rinpoche for showing us the way. Thank you Rinpoche, your teaching is resonating deep in me and I am very grateful for all the work you are doing all the time.